Founded in 1954, MMF Industries has been the leading manufacturer of specialty bank and office products. For more than 60 years, our expertise as the premier provider of metal products, banking, security and cash handling products continues to grow. 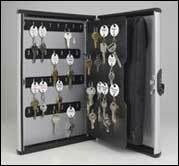 If you are looking for Security Pens, Money Handling / Bank Supplies, Cloth Security Bags, Signage, Key Control Systems and a wide variety of organizers, MMF Industries is the place to go!